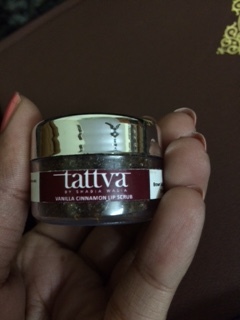 Review: Tattva Vanilla Cinnamon LIP SCRUB – a must have in the dry winters!! | Exquisite Living!!!!!!!!!!!! Be your own kind of "BEAUTIFUL"
Review: Tattva Vanilla Cinnamon LIP SCRUB – a must have in the dry winters!! Recently received an amazing product in my December Fab Bag! 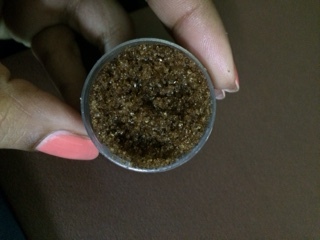 And its none other than a LIP SCRUB by a brand known as Tattva by Shabia Walia (http://tattvabyshabiawalia.com/). Since, we are in one of the driest weather phase in North India especially, the skin needs more attention. We have always been concerned about body exfoliation, face exfoliation but what we ignore is ‘our lips’, the one part that brightens up the face. In winters , our skin gets very dry and often looks cracked, same goes off with our lips..a layer of dead skin crops up on the lips..which makes them look parched out and very dry. Hence, comes the need to scrub of that layer to flaunt those smooth pink, soft and supple lips. 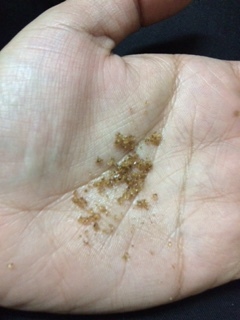 So coming, to the product..since Fab Bag gives us a sample to try out..I got Vanilla Cinnamon Lip Scrub Sample weighing 15gms. * Brown Sugar, White Sugar, Almond Oil, Cinnamon Powder, Vanilla. **Take a small amount of the scrub as per the requirement. **Apply on the lips covering both and scrub for 30-40 seconds. **Rinsed with lukewarm water and pat dry the lips. **If you need, you can repeat once again. ** Moisturize the lips with a thick layer of lip balm or lip butter whichever you use. (I used Nivea Lip Butter in Caramel Cream). Well, I loved the product..its a very simple scrub..made my lips instantly smooth and soft. In the morning, I got up with really soft and supple pink lips. No dryness and the most important part is very easy to use. I think it’s one of the must haves product as lip-exfoliation is as important as face or body exfoliation , to get rid of the dead skin. The only point I see it lacks is the fragrance part. Rest I am very happy to use this and would definitely recommend it. Well, maybe..if I am not too lazy to make it on my own..since the ingredients are easily available at home. If you want to buy, you can buy it from : http://www.fabbag.com/ store. Well, if anyone of you have tried any of the lip-scubs, do let me know in the comments and I would try them too. If you liked my review do comment and let me know your thoughts. In My October Fab Bag! !